On Sunday, the Tein Kavod (Give Honor) project of Tiveria held a graduation ceremony for thirty new recruits. The recruits, all of whom are women from Tiveria and the surrounding area, will now join the ranks of the current Tein Kavod volunteers in the city and provide free medical care to elderly persons who live on their own. The Tein Kavod project is an initiative of Israel’s, United Hatzalah, one of the nation’s primary EMS services. 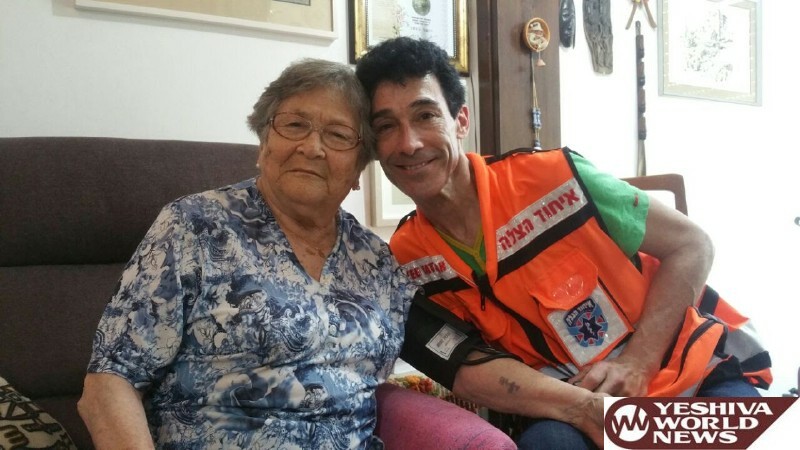 As part of the initiative, volunteer medics pay weekly house calls to elderly people, many of whom are Holocaust survivors who live on their own. The volunteers check the patients’ vitals such as blood pressure, sugar and saturation levels. The house call and medical check-up are completely free, and often the companionship which is also provided from these visits lifts the spirits of the elderly patients. The information logged by the volunteer is passed to the chief medical officer of the project who keeps track of the medical status of all of the participants and relays any anomalies to the patient’s general practitioner. Should there be any serious anomalies or warning signs of impending medical emergencies discovered during the check-up, the volunteer can also report to the general practitioner directly. Attending the graduation event was United Hatzalah CEO Moshe Teitelbaum and Mayor of Tiveria Mr. Yossi Ben David, as well as other public figures and members of the community.